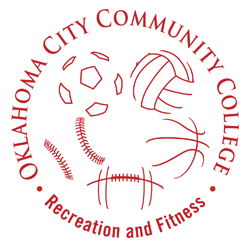 Future college students, not just those already on campus, are targeted for activities by OCCC’s athletic programs. Head-start basketball is just one of the programs available. For children ages 4 to 9, both boys and girls will be introduced to the sport of basketball, said Eric Watson, Recreation and Fitness specialist. Children will start by learning proper stretching and warm up techniques that will get them ready to compete. They also will be taught correct stances and routines to aid in the development of defensive and offensive competency, Watson said. Various offensive drills such as dribbling, passing, and shooting will be given throughout the program, he said. Watson said the head-start program is based on building up a child’s confidence by offering 5-on-5 league play after the key fundamentals are introduced. Registration for head-start basketball ends on Oct. 1. There is a $45 fee per person. The league starts Oct. 2 and ends Nov. 20. Programs will meet at 9 a.m. until noon each Saturday, Watson said. For the little ones, he said, OCCC offers Fitness Programs for Tiny Tots, for kids ages 3 to 5. Parents looking to introduce their kids to ballet can enroll them in Tiny Tot Ballet to learn the basics of classical ballet. The focus of the class will be on beginning ballet positions for hands and feet. Positioning of the body and a focus on balance are other integral parts of the program. Ballet shoes are required and the course is $45 per person. This program will meet at 10 a.m. every Saturday between Sept. 11 and Oct. 9, Watson said. There also is a Tiny Tot Tumbling program for kids with extra energy to burn, he said.This class will provide kids ages 3 to 5 with the appropriate skills to jump and tumble safely. Kids will start with somersaults and make their way to walkovers and handsprings. Tiny Tot Tumbling will meet at 11 a.m. every Saturday between Sept. 11 and Oct. 9, Watson said. Also being offered is the Kid Fit program. This class will include heart rate, walking for fitness, and strength training for kids ages 6 to 10. The program is offered at 10 a.m. every Saturday from Sept. 11 to Oct. 9. A $35 fee will be required for entry, Watson said. If that isn’t enough, Watson said, OCCC also is offering a beginning karate class for kids ages 6 to 12. Kids will be given a variety of engaging activities involving coordination, balance, and strength. For more information regarding registration and program location, contact Eric Watson at 405-682-1611, ext. 7786.